At MIDWEST INFOTECH, We believe in creating powerful brand experiences so our clients worldwide can inspire their customers. Our team of marketing gurus, designers, coders, and project managers will select the right technology for your digital marketing requirements such as web design and development, search engine optimization, content marketing, Social media Marketing, PPC, Video Marketing, Lead Generation, Email Marketing, Google Analytics, etc. with the best creative strategies. We analyze the digital landscape of targeted market, assessing communication strategy, key aim, value proposition, benchmarking, positioning, and differentiation. Our digital strategy can help you save time, cut through the competition, think through complex issues and make Confident decisions to achieve your goals and become a market leader. A high impact solution that makes your brand stand out and increase productivity. Latest Technology: We Combine knowledge and cutting edge technologies to help businesses keep their product and services up to date and competitive. Advanced Social Media campaigns: With our Seasoned Marketing experts, we execute the best campaigns to Increase awareness of your Brand / Product across social media platforms like Facebook, Linkedin, Youtube, Instagram, etc or generate quality leads for your business. System integration: Integrate with your existing or other 3rd party tools to access and manage all operations on one platform. Targeted Media Outreach: we target the right demographics, from the right market, at the right time, with cost efficient campaigns and better ROI. Easy Campaign Management: Manage multiple campaigns from a single platform and increase productivity. 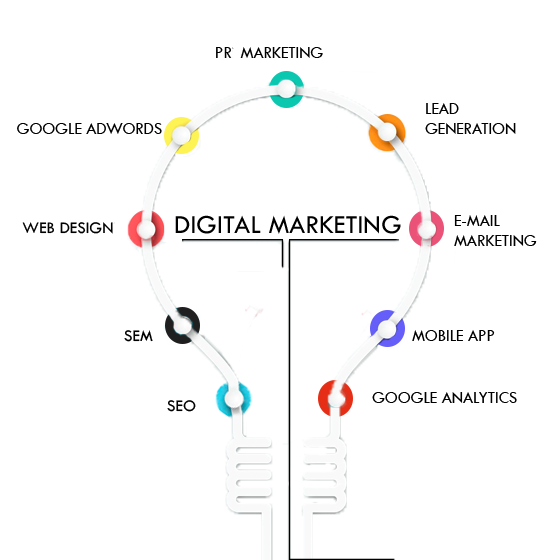 Enhance to SEO Focused Design: optimize your website content as per search engine requirements. Results Driven Customized Campaign Strategy: We develop customized campaign strategies based on your product / brand to improve campaign efficiency and effectiveness. Dedicated Account Manager: A SPOC assigned to provide continuous support throughout your association with us.